The latest English Housing Survey reported that “7% of private rented dwellings had some type of damp problem, compared with 6% of social rented dwellings and 2% of owner occupied dwellings”. With increased powers allowing tenants to take landlords to court for a property in disrepair from 20th March 2019, it is worth knowing where you stand with regards to damp, mould and condensation. You have a legal responsibility to maintain the structure of the property in a good state of repair and any form of damp is almost certainly unacceptable. So, if your property shows any sign of damp, you’ve got to deal with it as soon as possible. Rising damp. This is where water comes up from the ground, so it can cause damage to the bottom part of a property, up to about one metre. This is typically fixed with a new damp-proof course, which should last for about 25-30 years. An internal leak, such as a damaged water tank or badly-sealed bathroom fitting. With penetrating damp, you’ll notice damp patches on walls or ceilings, which should give you an idea of where the problem is stemming from. You should arrange for a builder to inspect the property, fix the problem and repair any damage. Condensation. This is caused when warm air collides with cold surfaces or there is too much humidity in a property. It starts as dampness on windows, walls and ceilings then, if the moisture’s not wiped off, it’ll run down the surface and collect in pools - usually on window sills and at the edge of flooring. If it’s not dealt with, it’ll turn into mildew (small black spots), which will then grow and spread as mould. To solve the problem, ventilation needs to be improved. Getting the right diagnosis to solve the problem is essential so it’s fixed quickly. Condensation and mildew are two of the most common problems in rented properties. Sometimes that’s because the landlord simply hasn’t installed sufficient ventilation measures or the heating system is ineffective. However, it can be because the tenant doesn’t open windows, for example when drying clothes or having showers. Although some landlords think this means the tenant is ‘at fault’ unfortunately in our experience, it is still considered the landlord’s responsibility to fix and ensure the accommodation is maintained in a safe condition. Damp and leaks caused by the tenant’s negligence. If a tenant lets a bath overflow or causes damage to plumbing or other equipment that results in leaks and water damage, you should be able to charge them for that. You can do that either during the tenancy or by applying to your deposit protection scheme to retain some of their deposit at the end of the tenancy. But it’s still your responsibility to ensure that the property is fit for habitation. Bear in mind too that this is in your interest as you will want to avoid it becoming a bigger problem. Consider accidental or malicious damage insurance cover which can help pay for any repairs required. If your tenant brings a problem to your attention and you don’t deal with it to their satisfaction, they may inform the local council and if they issue an ‘improvement notice’ which you don’t comply with, it can result in a fine; being put on the national ‘rogues database’ and/or issuing a banning order which means you can’t let the property. The new Fitness for Human Habitation legislation gives tenants the power to take their landlord to court if they’re not happy with the standard of their accommodation, and if it’s seen to be unfit, this could lead to the landlord being compelled to make repairs and even paying financial compensation/damages. If a tenant isn’t ventilating a property, consider installing a system that will help as this can dramatically reduce the likelihood of condensation and mould forming. Check the property regularly both on the inside and out. This is particularly important if the tenant is nervous of reporting a problem or just doesn’t realise damp, mould and condensation is an issue. If we manage your property, we’ll carry out periodical inspections on your behalf and have a team of contractors that can quickly deal with any damp or mould problems. 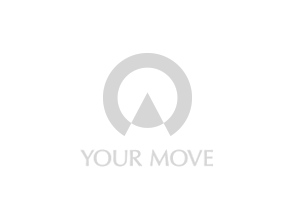 If you currently manage your property yourself and would like any advice, or to discuss moving to a full-management landlord service with us, just simply call into your local Your Move branch and one of the team will be happy to help.